Hiram Hanover. Boonville Town Plat. 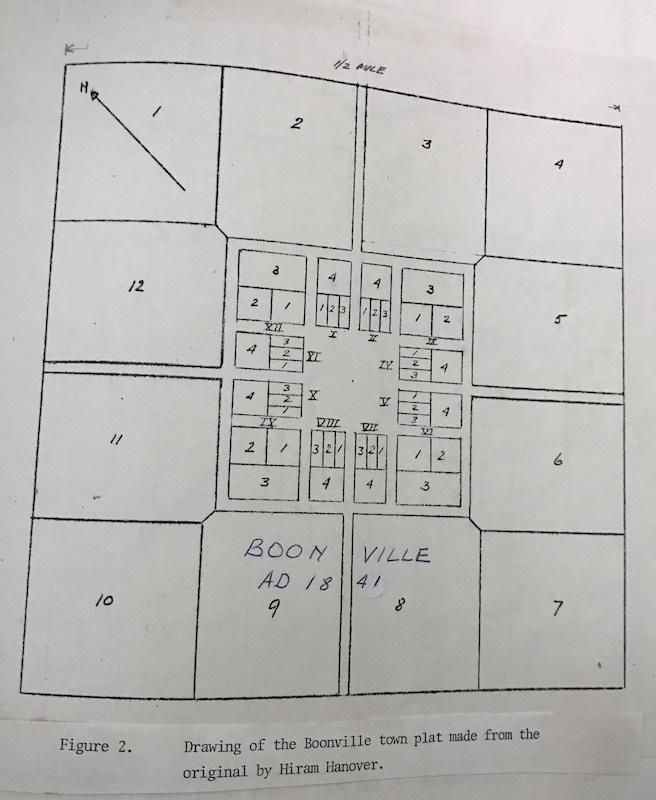 Margaret Van Bavel Papers on Boonville, 1937-1987. Cushing Library, Texas A&M University.